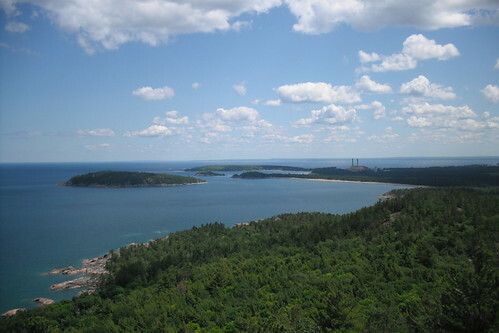 View to Marquette, originally uploaded by bill kralovec. Yesterday we went to Marquette, Michigan which is about 90 miles north east of Caspian. It is the largest city in the Upper Peninsula with a population of around 20,000 people. It is my favorite city in the UP and a place that I would like to retire to. I like it because it is located on the southern shore of Lake Superior and it is home to Northern Michigan University. It maintains the beauty and ruggedness of the Upper Peninsula, but it also has a cultural side with an educated and slightly cosmpolitan populace. 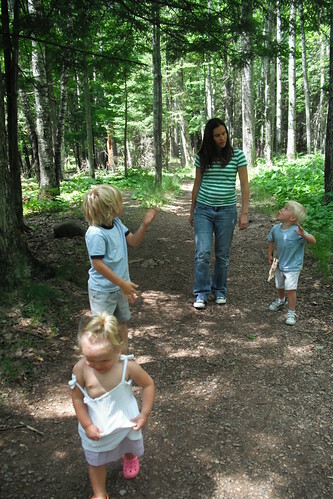 They have miles of hiking and biking trails, lakes, etc. but different from the rest of the UP, they have things like Thai and ethnic restaurants, lectures, theater, etc. The city also gets heaps of snow from the lake effect, guaranteeing great cross-country skiing. They have an excellent medical center and we use it for our family when we are visiting the USA. Besides visiting the doctor in the morning, we had a chance to do some shopping and go for a hike up to the top of Sugar Loaf Mountain. It is located just outside of the city and has spectactular views of the lake and surrounding pine forests.